Your book is the most inspirational book I have ever read. My life since reading the book has changed so much for the better, and while I am still a “work in progress” I now know that I am going to have a wonderful life in retirement. “Hi Janet, I am going to buy this book for everyone I have to buy a present for in the future. I think it’s the best present I could give to anyone that I am close to and love, or anyone I come in contact with to promote it. I am feeling great this week. Your book has contributed a great deal to the way I feel. I finished the book this morning. I understand it. I often think very positively as a rule, but reading your book has put things in a better perspective to help me understand things a lot better. I can’t wait to start the book again, so all the info sinks in a lot better. I am emailing you to let you know what a great influence you and your book has had on my life and how many times it has helped me with my anxiety. It is better than counseling to me. I read at least 1 or more chapters in the morning before I get up and before going to sleep. It has inspired me so much to follow my dreams and let things go. Greetings Janet from Parkes. Your book is amazing. I have to say that I am genuinely surprised, all meant in the nicest possible way. I have read a few books along these lines and I will say that I have actually discontinued reading them. But yours I am REALLY attracted to..It’s like love…lol..Just wanna get that highlighter out and mark this beautiful book..But I will probably pass it on to others to read.. The best book I have read in the last five years. Just want to thank you for a wonderful book. My mother purchased it for me for Christmas and I have loved every word written. I am about to read it again to absorb more of the wonderful lessons. My journey has become more enlightened thanks to your book and I am now living in the moment, letting go old baggage that was hanging on with bad energy. I found “How to Get Anything You Want – Just Like That !” a very refreshing read. Although I am already aware of the power of our mind, I found Janet’s book very interesting. The inclusion of Quantum Physics was a new approach, and has made me want to learn more in this area. It is a positive, motivating, easy to understand book which has everything all in one!!! I believe it can really help anyone who reads it to make their dreams come true!!!!! I found “Just Like That!” to be intelligently written in a way that is easy to understand. At the beginning of the book, the author helps you to discover who you really are and then discusses the importance of loving yourself. Next she breaks the book down into six sections. Each section is organized into chapters that cover specific topics. At the end of each chapter are a summary of the main points and exercises to help guide you through the area being discussed. “Just Like That!” is written in an empowering and motivating way. Instead of feeling tired after reading some incredibly thought-provoking material, I felt inspired to get started with working towards making my life even more extraordinary. One of the areas where I found the most inspiration was with how the author handled potentially negative subjects about certain behaviors, such as people who feel a need to surround themselves with an excessive amount of materialistic items. Instead of teaching about this with a negative voice, the author writes in a manner that is informative, yet non-judgmental to help explain why people, including ourselves might engage in this behavior. “Just Like That!” covers so many topics that it would be too numerous to mention all of my “Ah ha” moments. But I can say that there were many that helped me to better understand my behaviors and thought patterns, and those of others. In looking at how and why other people might act like they do, it helped me to feel more compassion towards them. I also learned a lot about not getting sucked in to other people’s issues or letting them control me with their negativity or letting myself get sucked into helping them when it might not be in my best interest or theirs. This self-published website-supported book treads a familiar self-help path covering off on the topics of learning to love one’s self, forgiveness, positive affirmations and the like. While the subject matter doesn’t tend to change in these kinds of books, the structure and approach in imparting the information can vary greatly. “Just Like That!” is lucidly written with a warm matter-of-fact tone which makes it approachable and easy to read. One of the attractive features is how Poole breaks up the text with salutary quotes to lighten up the subject matter and create a lighter level of interest. Poole also uses case studies in comic sans-like font to illustrate her points and these also act as a time-out from the straight telling and instructing. At the end of each chapter are summarised learning points and exercises to apply and grow the knowledge. A less usual feature of self-help books such as this is Poole’s application of quantum physics to explain and support some of the concepts she discusses. She even draws on scientific experiments that appear to support more intuitive conclusions. While some readers may find these examples a stretch too far, it does illustrate Poole’s ability to provide a fresh angle on familiar material. The power of positive thinking, changing attitudes, embracing your inner strength, seizing control over your life, not letting others dictate your productivity or happiness; these and many more are the themes of “How to Get Anything You Want”. Poole builds on concepts designed to help the reader recognize those situations and inner barriers that hinder a person from progressing, or better said, from achieving their desires and goals. The book provides insight into what may be issues in your life, both personal and professional, provides direction in overcoming these issues and even exercises to help the reader through the concepts or through self-analysis and reflection. The book gives inspirational quotes, decent summaries of the chapters, good sense advice and a variety of approaches for each idea. It is all inclusive and wide ranging and will have a wide target audience. On the positive side, I believe there is great wisdom inside and everyone will walk away with lessons or skills, whether new or reinforced, that can improve their situation. To those who pick up this book I say, “Embrace the message”. As I have stated in previous posts, I love to read. It was a perfect opportunity when I was hired at a local bookstore. My favorite part of the job was getting customers excited about the latest book I read. I loved working there, but life changes, and we move on. 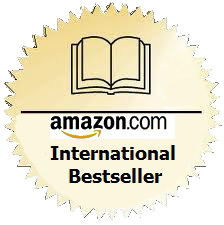 I was so excited when presented with an opportunity to review a book for my readers. I was asked to read Of course, upon finding out the name of the book I was intrigued! I had my suspicions about the book, at first. “Is this going to be a get rich quick type of book?” Well, if you are having those reservations, I can put your mind at ease. 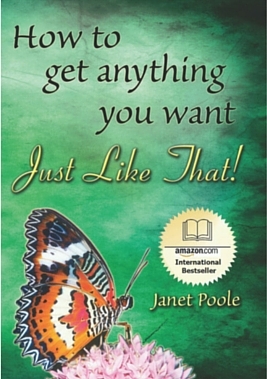 This is not that type of book.Janet Poole believes that everyone is truly amazing; we just have to reach inside ourselves and bring it to the surface. Basically, the key to getting everything you want is to be happy, and believe that you deserve it. It is disheartening to know how many people do not believe they deserve to be happy. I have seen a lot of self-help books out there. But generally, they usually say the same thing with different wording. This book is something else entirely. “Just Like That!” is well written and paints a vivid picture for the reader, transporting them to a place of self awareness. The author does a good job reaching out to a wide audience. It begins with Poole introducing why she wrote the book, followed by a breakdown of exactly how it is laid out. At the end of each chapter, there is a summary of the key points as well as exercises to help the reader apply the information to his/her life. Poole even offers other suggested reading, if you want to dig deeper into the principles she addresses. 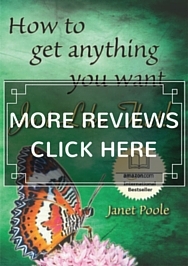 “How To Get Anything You Want – Just Like That!” is a book by Janet Poole. At its core, the book is a self help and positive thinking book. Each chapter begins with a quote related to that chapter. Then you have some thought provoking words placed in front of you. Each chapter ends with a summary of what you just learned as well as at least one exercise to help yourself achieve the message the chapter is putting forward. Some chapters even have some “real world” situations between couples or just with a person to help and make the topic really hit home. 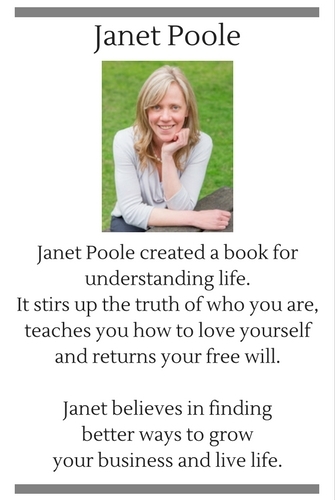 Self-help ancient wisdom in today’s language sounds very convincing, at least, the way Janet Poole portrays it. Here is a fresh angle on familiar motivational material that will spur you to turn your dreams into reality. You alone are responsible for your life and should not lay any blame on others if something goes wrong. Self-pity, is fleeting, and the result of avoiding responsibility. Janet places the onus on you to make the decisions and choose what’s good for you. After more than 20 years of researching life “determined to get to the core of what makes everyone’s life so different, so individual”, Janet emphasises that everyone is entitled to have anything they want. While the focus of such books hardly varies, the divergence comes through the composition and perspective from which the information is presented. To that end Just Like That! avoids the use of jargon and clichés and is written in an appealing, practical tone. One clever feature is the way in which the pages are broken up with beneficial quotes to lighten the subject matter and create a brighter level of interest. Instead of presenting text that resemble instructions, Janet breaks up the monotony by providing case studies in ‘comic sans-like’ font to illustrate her points. She not only summarises learning tips and exercises at the end of each chapter, but she applies quantum physics to explain and support some of the concepts she discusses. How to Get Anything You Want – Just Like That! rewards the reader with an extremely positive message, and the knowledge to get what you want out of life. Easy to read, with exercises to guide you on your way, and examples that have you saying ‘of course’, this book will improve your life, and have you eager to start getting what you want ‘just like that’. For this review I read her book, “Just Like That!”. While in the “self help” genre, I felt it touched upon many aspects of life, and didn’t try to preach to me or to provide me with a strict regimen of instruction for bettering myself. It makes you think about self-awareness and I really loved the inspirational quotes that were at the beginning of each chapter. The book is easy to read, hard to put down at times, in fact. Janet is a believer in loving who you are and not trying to squeeze yourself into a box or change yourself to fit someone else’s mold or idea. 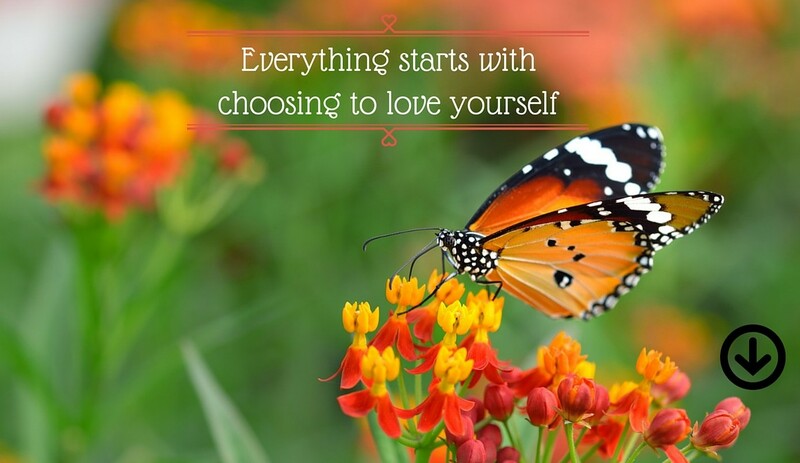 If you can love yourself as you are, the rest will follow. The book is perfect not just for one type of person either, no matter who you are, where you are in life, there is something for everyone and each person will take something important away after reading it. I was very interested in this as it is a sentiment I share, believe and teach…you really can get everything you want, desire and dream of…of course it is about cutting through the illusion to get there but it is really possible. Well the title gives it away a little but the book is much more than just learning how to have what you want, just like that. It is a comprehensive book which you immediately get a feel is the author Janet Poole’s work of art. You can feel her passion, dedication and commitment to sharing what she teaches in the book. You know when a book just feels like a good friend rather than an academic study that you have to become a student for. Its comprehensiveness is brilliant if you are looking to get immersed in spiritual and personal development. It felt like you could go from 0-60 very easily and speedily with this book by your side. It covers a wide range of subjects and areas for you to work on. I felt that it would be one of those books you would have as a compendium for creating a deeper relationship with yourself and understanding how to live more joyously while creating consciously. For me it would be a book I would pick up and open and see what the universe was giving me to look at rather than working on it from cover to cover. But maybe that is my quirky way of reading. I am often caught reading the last chapter of a fiction book after finishing the first chapter! There are exercises, examples and really good summaries in each chapter of the 35 chapters and there are sections outside of the chapters too. I did say it was comprehensive…! If you want to learn how to love yourself, how to stop feeling obligated and how to say no without guilt then you are going to find the inspiration in this book and a whole lot more. I like to review in a balanced way and there is a but for me about this book…! Some of the learning offered is dubious to my own wisdom, understanding and teaching . The book states that there is no right or wrong…well that isn’t strictly true…something’s are wrong and incorrect – the thing is it doesn’t make them bad necessarily…but it still makes them wrong! The book also talks about the spirit and soul and states for example: ‘It’s widely acknowledged that when someone dies, their spirit or soul exits the body. The author also writes early on about simplicity being key yet the book was long and in a lot of places very repetitive albeit different examples. Some of concepts being dealt with were very similar and given that early on the book talks about simplifying life I can’t help but wonder if it might have benefited from being simpler and more succinct. That I feel would have made it more like a book to read from cover to cover as well as keeping it as a reference book. Even with the ‘but’ which could make a reader feel overwhelmed about how much more they have to work through, the book does feel like a good best friend to have. Janet early on talks about ‘celebrating…’ and I feel this may have made for a stronger central theme. It’s a good book with the limitations I have described in the section above. However as I have this book now it is one that is a ‘keeper’ for me. I am looking forward to using it in the way I described earlier when I open it up to see what I am ready to work on and release. If you feel enticed to take a look at the book, check it out here and know that if you do buy it, Birds on the Blog are not on any commission. If you do buy it let me know how you get on and just to give you a reason to get it there are over a $1000 worth of bonuses being given away with this book. The fact that others are aligning to give away their work with this book must mean it has a good thing going and with it I am sure you will too!